In the announcement trailer for the Thirteenth Doctor, a figure was seen walking through a forest in a dark grey coat and black hoodie. Eventually, it was revealed that this was Jodie Whittaker, the first ever woman to take on the role of the Time Lord. The teaser – which has already racked up over 1 million hits on YouTube – will likely go down as an iconic Doctor Who moment in itself. 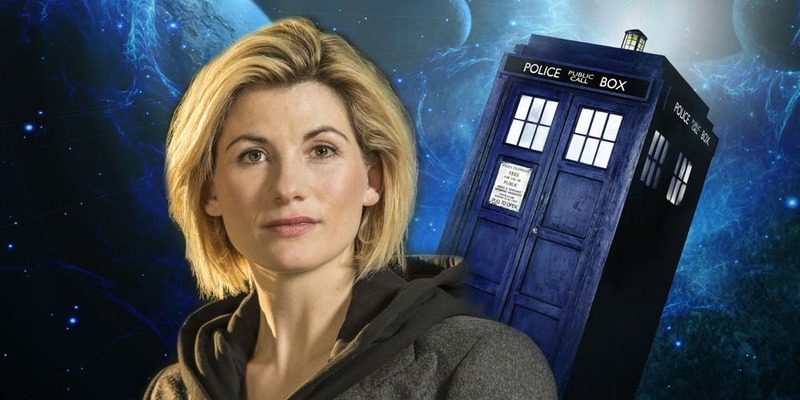 However, we shouldn’t think of it as our first look at Jodie Whittaker in character, as the outfit she wears in it isn’t the one she’ll be seen in in the show. As part of a brief Q&A that Whittaker did with the BBC, she was asked thirteen questions. A couple of them inquired about what her Doctor will wear, and as it turns out, that hasn’t been decided yet. Is that your costume in the filmed sequence which introduced you as the new Doctor? It might sound trivial, but the Doctor’s signature outfit is a massive part of the character as each incarnation’s sartorial style can often say a lot about their personality. For instance, Christopher Eccleston’s beaten leather jacket showed that he was a casual, jaded fella, while Matt Smith’s tweed suit and bow tie demonstrated that he was an old man in a young man’s body and so on. From Whittaker’s sombre attire, we might have guessed that her Doctor would be a fairly serious character, but now all bets are off once again. The outfit Whittaker wore in the trailer would probably have seemed familiar to fans, as it’s quite similar to a look Peter Capaldi’s Doctor has donned over the past couple of seasons – wearing a hoodie underneath his signature red-lined dark coat. Presumably, Whittaker’s actual costume will deliberately depart from what her predecessor wore, but we’ll have to wait and see. Doctor Who returns when Capaldi bows out of the role on Christmas Day.